Looking for a new gym? Never been to a gym? Come visit us and we will give you a free 7 day trial. Try us out for a week, and find out why Snap Fitness is more than just a "gym"!! We are excited to bring a third Snap Fitness location to the Lafayette/West Lafayette community. Our goal is to help you get fit, feel great, and be well. Here at Snap Fitness we want to help you reach any goal you have. Always open -- work out day and night - 24 hours a day, 365 days a year. Convenient location - close to your home or office. We're proud to serve the community and invite you to stop by today for a free tour of our club, or you can request a free week trial and see for yourself, why we are the best option. 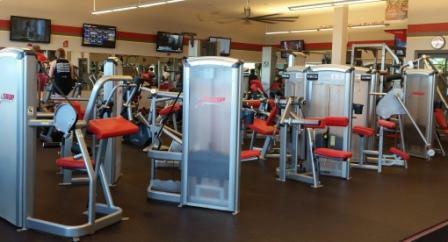 Thanks again for your interest in Snap Fitness and we look forward to seeing you soon!